With over 25 years of innovation in neuroscience and neurology Philips-EGI are pioneers in the field of dense-arrary EEG recording. 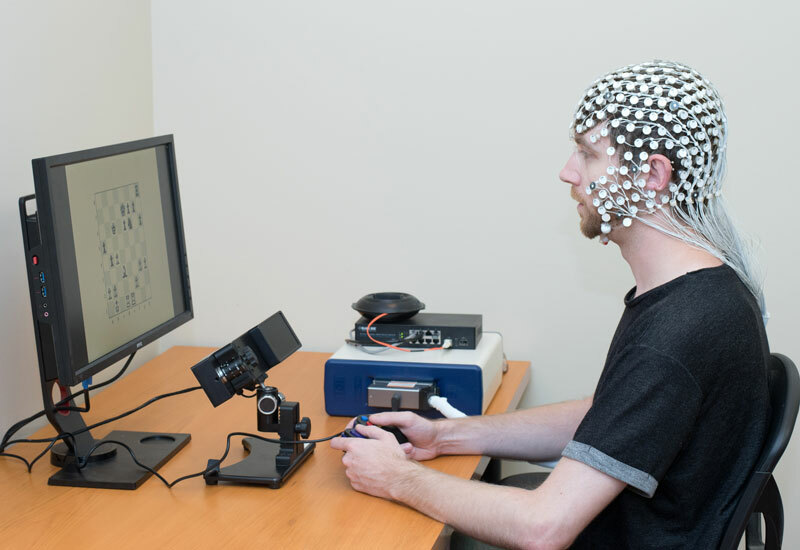 Their equipment is used in research laboratories around the world to study cognition, language, memory, consciousness, sleep, ADHD, autism and much more. EGI share SR Research’s deep roots within the scientific community, and our strong understanding of researcher’s needs. We have worked closely with engineers at EGI to bring very high levels of integration between EyeLink systems and Net Station 2.0. EGI Systems can be controlled and directly integrated with EyeLink eye trackers using Version 2.2 of our stimulus presentation software Experiment Builder. Automatic online clock synchronization and clock drift correction is performed using the NTP timing protocol, so that the events recorded in Experiment Builder are synchronized with the EEG data collected by EGI’s amplifiers. 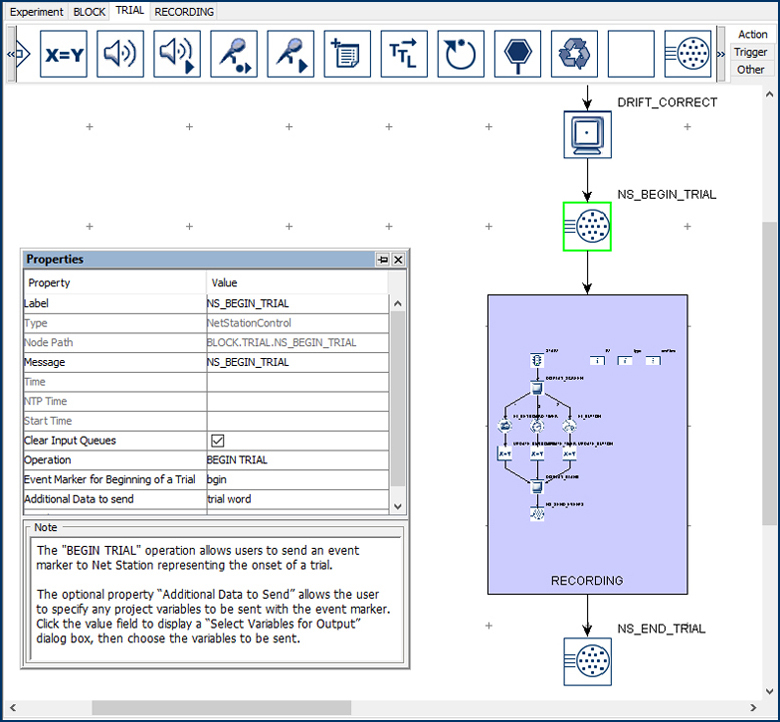 Integration via Experiment Builder, E-Prime and Matlab can be achieved via the EGI Experiment Control Interface (ECI) which uses TCP/IP to control Net Station recording operations and to send event information to Net Station. 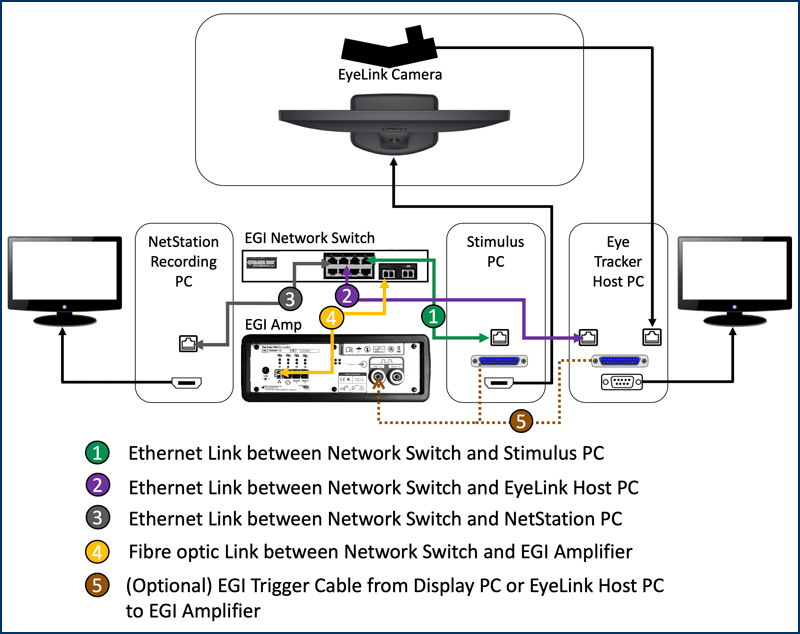 For researchers who use other stimulus presentation software (such as NBS Presentation / PsychoPy etc) EGI systems can be integrated with EyeLink systems using Standard TTL signalling and a trigger cable supplied by Philips-EGI. If you have any questions regarding EyeLink-EGI integration, feel free to contact us. We’re always happy to help.